CLICK HERE FOR Interview with Tom, and excerpt from Biography, from the International Jazz Harp Foundation website. 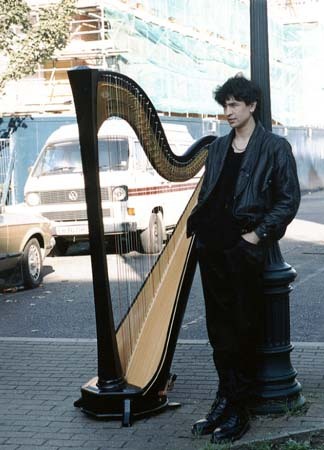 Tom Monger is a Harpist and Composer based in London. He has been playing harp for over twenty-five years, and is interested and involved in music of many different kinds. This site will give an idea of his background, experience and musical interests, and details of his career and forthcoming projects.